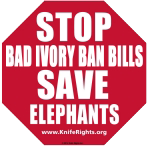 June 23, 2015: The most extreme and draconian effort to date to punish honest, law-abiding ivory owners, including owners of ivory handled knives, New York Senate Bill 4686, failed today with the adjournment of the New York legislature after a strong lobbying effort by Knife Rights and our alliance of organizations from across the political spectrum opposed to the ivory bans. This bill would have banned the mere POSSESSION and TRANSPORTATION, as well as sale and offering for sale, of any part of an elephant, lion, leopard, black or white rhino. While holdings of the latter four species are minimal, millions could have been affected by inclusion of widely owned elephant ivory in this onerous bill. New York was the first, and one of only two states, which passed an ivory ban bill last year that prohibited the sale of what had heretofore been perfectly legal ivory items, or items containing even small amounts of ivory, with some limited exceptions. If passed, this bill would have wiped out even these narrow exemptions in the previous ivory ban. While an exemption to legally retain possession for items possessed in New York prior to the date the proposed act was passed was included, you would have needed to get a certificate from the NY Secretary of State to qualify for this exemption and there was no process or any other requirement included in the bill to do so. Knowing how NY bureaucracy works, it would be, at best, not simple or cheap. Even worse, the effective date for enforcement was to be immediate, with no grace period or opportunity for owners to take any action to ameliorate the effects on their property and investments. Sale or transfer of any ivory items would have been prohibited with no exceptions except to sell to a museum or similar, or to pass to heirs. It would even be illegal to simply transport items out of the state. Anyone traveling through New York or moving to New York with any item containing ivory would be out of luck. Law enforcement at even the lowest levels was to be given very scary sweeping new powers under this proposed new law and it would have been punishable by up to 2 years imprisonment. Any ivory seized would have to be destroyed upon conviction, regardless of its cultural or historic value; it could not have gone to an appropriate museum or education organization. 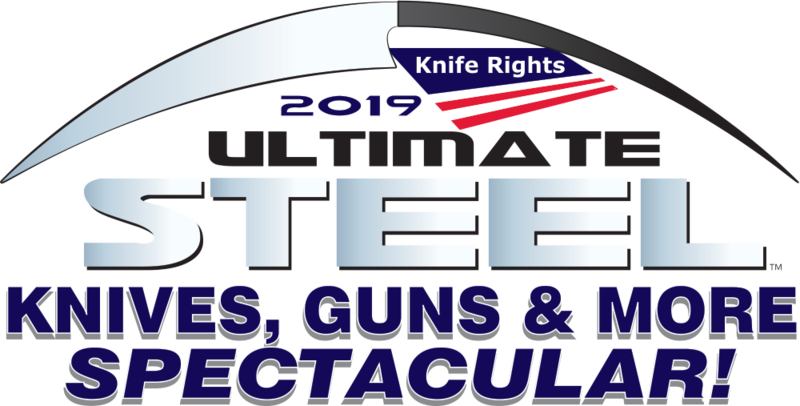 Simply carrying an ivory handled pocketknife or wearing an ivory piece of jewelry could have landed you in jail. Traveling through a New York airport with anything ivory, even in a checked bag, would have been illegal. The potential effects would have been far-reaching, adversely effecting more than just New York residents; it would have created havoc for travelers and shippers from all over. When these efforts to ban perfectly legal ivory that had been in this country for decades prior to the Federal ivory ban being put in place decades ago started last year, we warned that the ban on sale of ivory was only the beginning and that far worse was envisioned by those pushing these ineffective bans. S.4686 proved our point. So far only New York and New Jersey have passed ivory bans, both last year and both pushed through without reasonable consideration by their respective legislatures. So far this year not a single one of the over a dozen ivory ban bills introduced this session has passed. When we are allowed the opportunity to explain the facts involved and the reality of the illicit trade in elephant ivory, in which Americans have virtually no involvement whatsoever, we have a good chance of changing the minds of legislators who have been mislead by emotionally charged, politically and financially motivated efforts to ban legal elephant ivory that’s been in the country for decades as well as mammoth ivory that’s 10,000 years old.